Is your existing onboarding program providing new hires what they need to be successful at your organization and buy into your mission? New employees likely won’t volunteer feedback on whether their expectations were met during this fragile period. 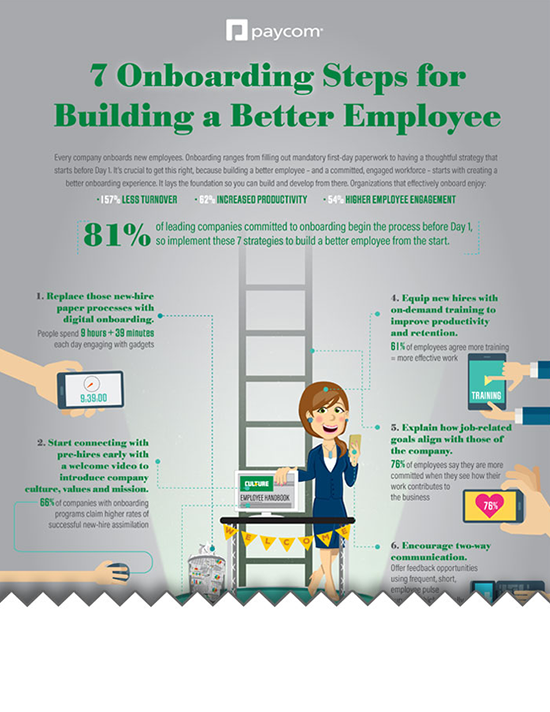 Check out this infographic to find out the top seven onboarding steps you can take to exceed their expectations and build better employees at the most ideal time: from the start.